Well, this would actually be Simplicity Shawl III. My very first version was made out of a lavender linen and cotton yarn with a flower pin made from flowers I found in one of Kristin Spurkland’s books. 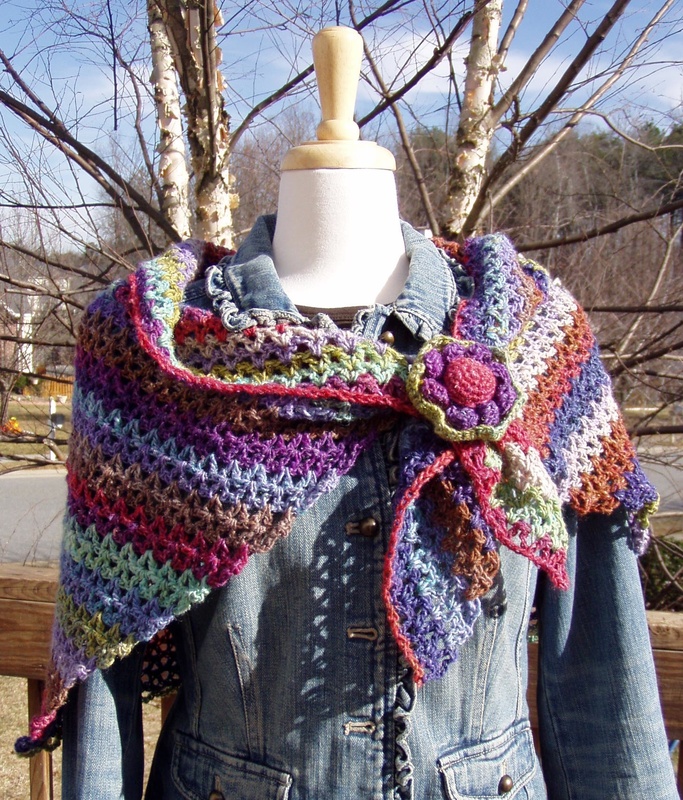 The pattern for the shawl was popular with crocheters at Knit One Smock Too, but was not the best written pattern. Last fall I finally revamped the pattern and added a rosette pin of my own creation…Simplicity Shawl II. KOST now has the new patterns and I made this version (III) out of Noro Silk Garden Lite for the shop to display. Oh how I love Noro yarns! 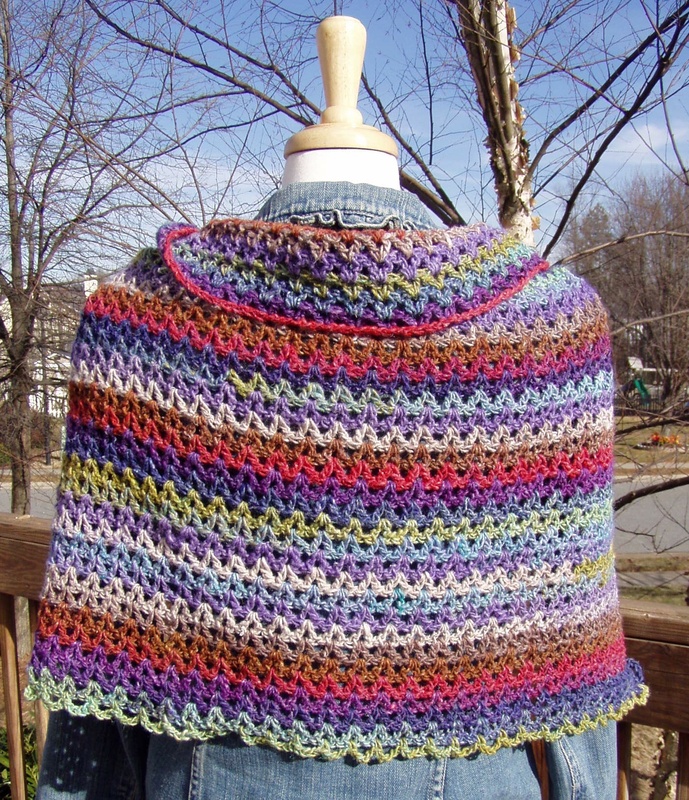 Love, love, love how the colors work with this stitch pattern…lovely stripes of gorgeous color. I even made the rosette from different colors all available in the ball of yarn. I used the I hook called for in the pattern. Though I got gauge at the beginning, it ended up a smidge smaller than the pink shawl, so I might suggest using a J hook if you want the fuller size. Of course, you can add more stitches to start off and that would make it larger as well. I plan on blocking it a bit–should loosen up the fibers some and make it bigger. But I like it just like it is. Beautiful, lovely colors, couleurs joyeuses, superbe sur le jeans.